Breaks up clods and crusts, pulverizes, smoothes and cultivates; breaking up early weeds before they start to grow. Cultivates corn, beans, potatoes and other row crops. The flexibility of the section permits it to pass over trash or rocks. The exclusive lever design permits setting the teeth at any angle, yet allowing full flexibility in any position. 1 5/8” O.D. High carbon steel pipe is extra strong and resistant to wear, for high speed harrowing. 9/16” Welded links for extra strength. High carbon steel, hammer-forged to a diamond hard point for hard use in all soil conditions. The teeth can be used to cultivate, pulverize, smooth and break up crust and clods. Each tooth is reversible and replaceable. Teeth are locked on with a lock washer and nut, and are guaranteed to outlast any other tooth of equal weight. 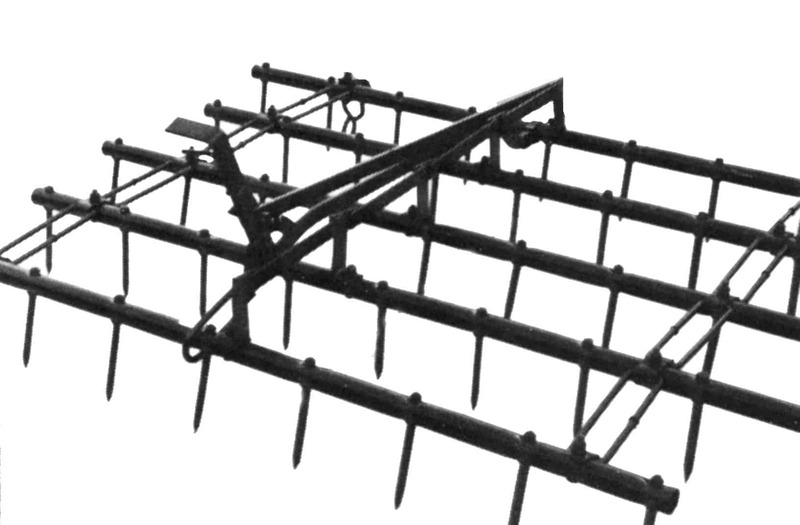 Designed with the open ends toward the ground to reduce unhooking during operation.